B.A. Music – David Lipscomb University. 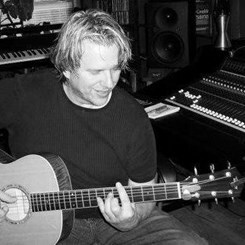 Songwriter/Producer in the Nashville Area, member of NARAS (Grammy) CMA and NSAI. Teaches guitar/bass and songwriting. He also teaches Pro Tools and helps students learn to record their own songs. Over 40 years teaching experience. Request Lessons with Kim today!